The Basketball World: Professional Basketball Information. Welcome to this Basketball website. Available at the moment are all the professional tournaments listed below, including the NBA and other domestic leagues, the Euroleague, the FIBA Basketball World Cup and information about the basketball as a sport at the Olympic Games. You can also find the original game rules and its history. You can visit the profiles of the top basketball players to review titles won, career highlights and other interesting information. The picture gallery is growing every day. Enjoy your visit! Michael Jordan's World: a site full of data about the basketball top superstar Michael Jordan. Records, stats, shoes and more. 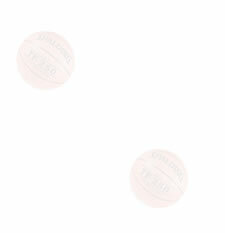 Buying Jerseys.com: they have tell you where to buy basketball jerseys online. Lakers Universe and LakersWeb.net: sites dedicated to one of the top basketball teams around the world, Los Angeles Lakers. There are jerseys and merchandise in this NBA basketball store. Kobe Bryant Shoes: all the information about the new Kobe Bryant signature shoes made by Nike. The hottest shoes in the basketball world. -July 2007: The San Antonio Spurs, that includes among its leaders international players of the size of Manu Ginobili and Tony Parker won another NBA Championship. Parker was selected Finals MVP. -Sep 3: Pau Gasol was named MVP and part of the ideal quintet of the tournament. The other four are Manu Ginobili (Arg), Carmelo Anthony (USA), Jorge Garbajosa (Spa) and Theodoros Papaloukas (Gre). - Sep 3: Greece didn't have a chance against the best team of the tournamet. Spain won 70-47 and is the 2006 World Champion. - Sep 2: USA defeated an out-of-energy Argentina team 96-81 to get the Bronze Medal. - Sep 2: Spain top player Pau Gasol will miss the final game because of a fracture. - Sep 1: Spain and Greece will play the World Cup final game while top candidates United States and Argentina will have to fight for the bronze medal. - Sep 1: In a day full of surprises Spain survived to Argentina's missed final shot and won 75-74. - Aug 30: As expected, the top 4 candidates (and winners of their respective groups) are going to play the semifinals: Argentina vs. Spain and Greece vs. USA. None of them has lost a game in the tournament. - Aug 24: The first round of the World Cup came to an end and the brackets of the final round are ready. - Aug 19, 2006: The FIBA 2006 World Championship started with victories of two of the top candidates, USA and Argentina. - Feb 2006: LeBron James scored 29 points and was selected MVP of the 2006 All-Star Game. Knicks Nate Robinson won the Slam dunk contest. - Jun 2005: the NBA had a great finals with the Detroit Pistons and the San Antonio Spurs going for all the glory in game 7, the Spurs won their third title leaded by Finals MVP Tim Duncan and international superstar Manu Ginobili. - Aug 2006: added the rosters of the 2006 Japan World Championships and the basic history and rules of basketball. - July 2006: added Kobe Bryant profile. - July 2006: added information about the FIBA World Cup 2006. -Dec 2005: we are adding the NBA teams the NBA section, starting with the top teams. - Jul 2005: added information about the basketball Euroleague.